Often, a neighborhood has things it doesn’t want (crime, drugs) or wants things it doesn’t have (a good school, maybe a rec center). On occasion, though, something tremendously helpful to a community is already there – but just out of reach. That’s the case in Mount Clare. Residents of the Southwest Baltimore neighborhood have a nearby amenity that many in the city can only dream of: a large, beautiful expanse of open space. But the people of Mount Clare can’t easily enjoy the benefits of Carroll Park because the historic (but now little-used) B&O Railroad line separates the park from the neighborhood. Pigtown residents have ready access from the east and south, but Mount Clare, already plagued by crime and vacant houses, is out of luck. Marc Szarkowski sees an opportunity to fix that in a way that also celebrates the area’s remarkable transportation history. 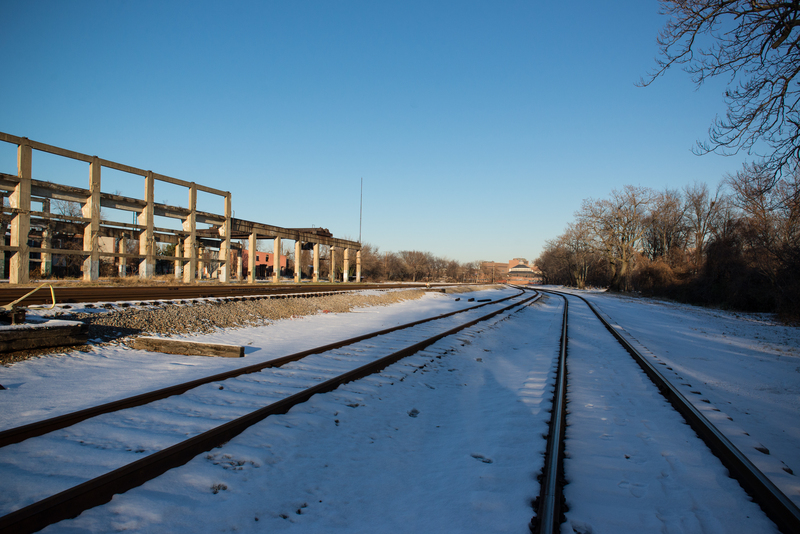 Szarkowski and local transportation blogger Gerald Neily came up with the idea of repurposing the railroad right-of-way from Carroll Park to the B&O Railroad Museum as a streetcar, bicycle and pedestrian zone. Instead of dead-ending at the railroad tracks, the south-running streets of Mount Clare would lead walkers and bikers directly into the park. Ideally, the streetcar line would extend all the way from the Westport light rail station to downtown Baltimore. Szarkowski and Neily also hope to revitalize the local economy by rethinking the layout around the struggling Mount Clare Junction Shopping Center and the Montgomery Park building with appropriate mixed-use, infill development. Completing the transit-oriented development vision: a relocation of the city’s Streetcar Museum to Carroll Park. The anticipated result of all this, Szarkowski says, is a “First Mile Corridor” that would create jobs for local residents, improve transportation, increase access to Carroll Park, and draw attention to the location’s history as the birthplace of passenger rail in the U.S.
Szarkowski, 26, forged a connection to Baltimore from spending summers in the Johns Hopkins University’s Center for Talented Youth program. As an architecture student, he became interested in what urbanist Jane Jacobs calls “border vacuums,” land features that create boundaries between communities. Other examples he identifies in Baltimore include the downtown portion of the JFX and parts of Druid Park Lake Drive. His Carroll Park proposal is ambitious, requiring the cooperation of numerous public and private stakeholders. But that doesn’t deter Szarkowski, who points to the successful redevelopment of the nearby Camden Crossing neighborhood and even the once-drab Inner Harbor itself as reasons to aim high. “I think it could happen,” he says.